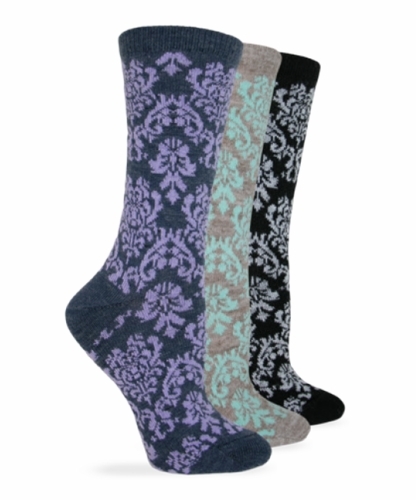 This Wise Blend Damask Crew sock is colorful, soft, and warm. These socks are one of the most fashionable ways to stay comfortable and warm this winter. Black shown in photo is sold out.